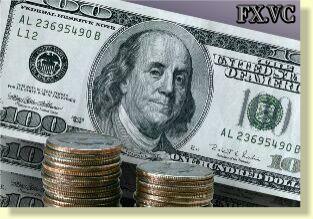 As far as the freedom from any external control and free competition are concerned, FOREX is a perfect market. It is also the biggest liquid financial market. According to various assessments, money masses in the market constitute from 1 to 3 trillion US dollars a day. (It is impossible to determine an absolutely exact number because trading is not centralized on an exchange.) Transactions are conducted all over the world via telecommunications 24 hours a day from 00:00 GMT on Monday to 10:00 pm GMT on Friday. Practically in every time zone (that is, in Frankfurt-on-Main, London, New York, Tokyo, Hong Kong, etc.) there are dealers who will quote currencies. The idea of marginal trading stems from the fact that in FOREX speculative interests can be satisfied without a real money supply. This decreases overhead expenses for transferring money and gives an opportunity to open positions with a small account in US dollars, buying and selling a lot of other currencies. That is, on can conduct transactions very quickly, when the exchange rates go up or down. Many speculative transactions in the international financial markets are made on the principles of marginal trading. Everyday fluctuations of currencies constitute about 100 to 150 pips, giving FX traders an opportunity to make money on these changes. In order to assess the situation in the market a trader has to be able to use fundamental and/or technical analysis, as well as to make decisions in the constantly changing current of information about political and economic character. Most small and medium players in financial markets use technical analysis. Technical analysis presupposes that all the information about the market and its further fluctuations is contained in the price chain. Any factor, that has some influence on the price, be it economic, political or psychological, has already been considered by the market and included in the price. The initial data for a technical analysis are prices: the highest and the lowest prices, the price of opening and closing within a certain period of time, and the volume of transactions. That is, technical analysis is a statistical and mathematical analysis of previous quotes and a prognosis of coming prices. A number of technical indicators have been installed into the CHARTS trading system. Analyzing the indicators one can come to the conclusion about further movements of the quoted currencies. Fundamental analysis is an analysis of current situations in the country of the currency, such as its economy, political events, and rumors. The country's economy depends on the rate of inflation and unemployment, on the interest rate of its Central Bank, and on tax policy. Political stability also influences the exchange rate. Policy of the Central Bank has a special role, as concentrated interventions or refusal from them greatly influence the exchange rate. At the same time one should not consider fundamental analysis just as an analysis of the economic situation in the country itself. A far bigger role in the FOREX market belongs to the expectations of the market participants and their assessment of these expectations. Various prognoses and bulletins, issued by the participants, have a strong influence on the expectations. Very often an effect of the so-called self-filfilling prophecy occurs when market players raise or lower the exchange rates according to the prognosis. But a deep and thorough fundamental analysis is available only for big banks with a staff of professional analysts and constant access to a wide field of information. In spite of these different approaches, both forms of analyses complement one another. Traders who act on the basis of a fundamental analysis, have to consider some technical characteristics of the market (the main rates of support, such as resistance and resale), and supporters of the technical approach to the market must track the main news (interest rates, important political events). You can make deals any time you like.